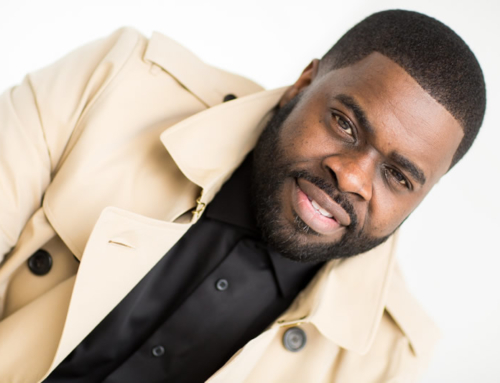 Byron Cage, the “Prince of Praise,” is bringing his live recording for his next project, In the Midst, home to Detroit. Byron spent his formative years in Detroit, graduating from Henry Ford High School, singing background for Minister Thomas Whitfield, and being a music minister at Greater Grace Temple. Although Byron now has an ATL address, he still considers the 313 home. Karen Hunt-Barker sat down with Byron to discuss his music ministry and his new project. Byron’s advice to up and coming artists is particularly insightful, and the entire interview reveals his deeply spiritual commitment to his ministry and God’s anointing on his life. Karen Hunt-Barker: Byron, I want to congratulate you on your 2009 Stellar Award win. Byron Cage: Thank you Karen. Wasn’t that a lot of fun? (laughing) I’ve been having such a good time. You know Vickie Winans is so funny, she said, ‘Byron, you just go and win something every time now.’ And I’m like, ‘Well you know the Lord is good, the Lord is good.’ But, I told Marvin Sapp, I said, ‘Doctor, I am just glad, you were not in my category.’ (laughing) Marvin won what, nine? It was a blessed year for him, a blessed year. KHB: How many awards have you won so far to date? Byron Cage: Well, for my albums, there have been seven Stellar Awards, a Soul Train Award, a Trumpet Award, and then the Grammy nomination, of course. I was nominated for a Grammy as well for the Invitation to Worship: I Will Bless The Lord CD. Byron Cage: Yes, but you know, I thank the Lord for those. It is always nice for people to acknowledge you, and it is fantastic to win. But, I want the Lord to be pleased with what I do. That is the most important thing of all. And as we minister and do what we do, we want the Lord’s name to be glorified, and that is why we do what we do—so that souls will be saved and lives will be changed. And, in the midst of recession, preferably the music that we sing really is that balm of Gilead that the saints need. They need that soothing sound that will soothe them during that crisis. KHB: And you know Byron, we are really proud of you, especially because you are from Michigan. Byron Cage: Absolutely. I was actually born in Grand Rapids [where Marvin Sapp lives], and Marvin Sapp always tells everybody, ‘Byron likes to claim Detroit, but he is from Grand Rapids.’ (laughter) I did not become a man until I moved to Detroit. I graduated from Henry Ford High School and I lived off of 7-Mile and Wyoming. KHB: So listen, all right “Mr. Live Recording” in Detroit. Byron Cage: Whew, how about that! KHB: Come on talk to me about this. Byron Cage: Oh! I am so looking forward to coming home. Because I think a lot of people have forgotten that, you know, I used to sing background for Minister Thomas Whitfield, a small group when I was there. As well, I was one of the [music] directors over there at Greater Grace Temple with Bishop Charles Ellis. Bishop David Ellis was still here, and Donald Vails was minister of music. When gospel music there in Detroit was unstoppable. It’s still great and fantastic. 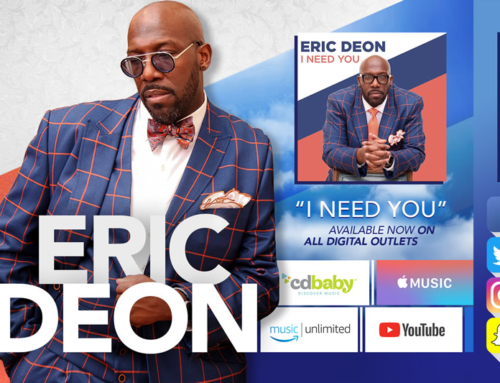 Byron Cage: I am so looking forward to March 13, when I am coming to do my live recording called “In the Midst.” I am doing it live at Second Ebenezer church; Bishop Edgar Vann’s church. My friends are coming to help me out. Tye Tribbett and Marvin Winans are coming as well to sing songs on the project. So, we are looking forward to the Lord doing phenomenal things. 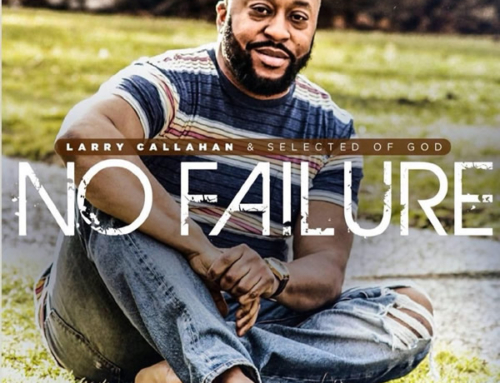 Again of course, this is a praise and worship CD, but there is a lot of good church stuff on here that you know choir directors will be able to teach their praise teams and their choirs for Sunday morning service. And that is really what I am—I am just so looking forward to coming back home though. Of course, I did the “Live at the Apollo” tour there [at Second Ebenezer] and we had a phenomenal time then. But, I think this is even going to take us to the next level, so I am looking forward to it. KHB: Byron, you are a trendsetter. And you have earned that name, the “Prince of Praise,” and we can depend on you to give us several songs off of every CD that our choirs can sing, so you keep doing what you do. Byron Cage: Oh, I appreciate it. I love praise and worship. Of course, I still serve as a minister of music of a church in Fort Washington, Maryland. So, that is what really helps keep me grounded. I kind of have pastors covering me and a church family that helps to keep me grounded, and being able to still minister at Sunday morning service. And then, of course, doing concerts around the world and things like that. So, it is just a tremendous blessing for me now though, to come back to Detroit, the place that I love. The place where I got a chance to sit at Bailey Cathedral and watch the groups like the Clark Sisters, Rance Allen, and The Winans, and Donald Vails and so many others. There were just phenomenal things at those concerts. 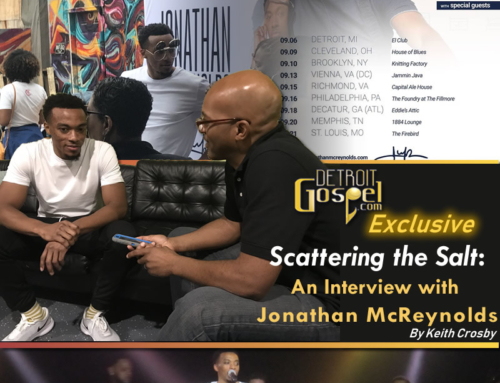 And I am just looking forward prayerfully that Second Ebenezer will be a historical moment and people will say, ‘oh, that CD that he recorded, In the Midst: Live in Detroit, was so anointed.’ And, I pray my bestseller to date will be that particular recording. We’ve got some phenomenal music coming off this time. I am just so excited because I’ve been in a consecration, and I won’t break my fast until a couple of days before the recording; because we just believe that the Lord will do some powerful and mighty things on that night at Second Ebenezer. KHB: Oh, that is excellent. Talk about the writers and producers. Who are you working with this time? Byron Cage: Well, this time Aaron Lindsay is producing the project. Of course, he produced Marvin Sapp’s last CD and he does all of Israel’s CDs. He and I are singing … we did a song together called “Faith to Believe.” That is an incredible praise and worship song. V. Michael McKay, who wrote “Broken, But I am Healed,” wrote me a song called “For My Good.” When he sent it to me, I called him and I said, ‘I just can’t take it.’ I pulled my truck over, there was just no sense in driving and listening to that song. Do you understand? (laughing) It was just an amazing song. Vashawn Mitchell, who everybody knows as a great songwriter, wrote me a song called, “With God, I Can Get Through This.” So, it is a whole lot of great, great music. I wrote most of the songs, again on this particular one, but I did get some outside writers as well. So, we are certainly looking forward to the Lord, doing some great and mighty things on this record. And, of course, with Marvin Winans coming, I’m doing a tribute to Ron Winans on the recording..
And, I am excited about this song I wrote called “In the Midst,” which is the title of the album, that Tye Tribbett is singing with me. Of course, he is so high energy and he is one of my favorites right now. I love, love, love Tye Tribbett. So it is going to be a tremendous blessing. And I just invite all my friends in the industry [to come out]; Kiki Sheard, The Clark Sisters, J Moss, because PAJAM, of course, produced my last two. So we are just looking forward to the Lord doing some wonderful things. I want all my friends from Detroit to come on out. I am using Detroit singers to do the background stuff for me. And, it will just be a great time, a great time. A “homecoming,” if you can call it that. KHB: You know what? That is a good way of saying it; “a homecoming.” It is your homecoming, and that will be awesome, so you know we are going to support you. Detroit is going to support you, and all over the Michigan area even as far as Ohio…Chicago…you’ve got that whole realm. Byron Cage: Absolutely. Tell people to come from the East, South and North and West! Come on and get your praise on! And I did it on a Friday night, and I am starting the actual recording portion at 8:00 PM, so that way people have an opportunity to get home and get their kids fed and get the babysitter and then come on to the “church house,” to Second Ebenezer, and they will have a phenomenal time. And the tickets are very cheap. They are only $10.00 a ticket. Byron Cage: Yes, so, it is very, very inexpensive because I want everybody to be able to come and pack that place out, and we just go forth in Jesus’ name. KHB: Amen! Where can we purchase the tickets, do you have that set already? Byron Cage: Yes, they we will be able to purchase tickets starting February 15, at Second Ebenezer Baptist Church or God’s World. KHB: In closing, we always ask about advice for upcoming artists and with that, the price that you pay for where you are now; an international gospel star, celebrity, household name. What was the price that you paid for this anointing? Byron Cage: Yes, this is what a lot of people really, really want to know; what is the formula? I can only say that as you seek God first and you are faithful to Him, and you are serving Him in some place, where you can be taught the Word and you can be equipped, not just vocally…we know you can do the runs and we know you can sing, but is there anything in your mouth that will destroy yolks through the music that you minister? And I thank God that I was on the back side of the desert for a long time just waiting for the opportunity for my ministry to come forth. And, I was faithful. I was faithful serving Bishop David Ellis before I left and went to college in Oakland University in Rochester, Michigan. I served faithfully in the church, and I directed the choir there. Then I went to Atlanta, Georgia on a scholarship to Morehouse and served Bishop Eddie Long faithfully there. And God saw my faithfulness, and He knows our heart’s desire. He said He is not going to hold anything from us if we walk upright before Him. If we would be faithful in the few things, God’s promise is to make us the ruler over many. Kiki [Kierra Sheard] and I had a really interesting conversation. She came to my church this Sunday. She was like, Byron, ‘people just don’t know you, because, you can really sing.’ I have been singing like for so long, directing choirs, and things like that, but I don’t necessarily sing the way I think a lot of young people sing today, you know what I am saying? And, I am just thankful to God that I am so comfortable with who I am and who I have been called to be. When God equips you, He anoints you and then sends you out on the appointment. Every hater can try to stop you all they want, they can say what they want to say about you, but it is not going to negate the fact that the hand of God is on your life. So all I tell people all the time, serve faithfully, yes, perfect your gift, but perfect your character. Perfect your character. When you open your mouth and you say, I am a called person to minister, through the Word or ministry, it is all the gospel of Jesus Christ, have character. It will carry you a long way, be a man about your word. And establish great relationships. That is what I have learned how to do; establish great relationships with people within the industry, Karen, like you guys over there at the Detroit Gospel. You know, you guys are phenomenal, you and Mary and Renee’, all you guys are wonderful…we establish relationship together. I establish great relationships with radio, great relationships with television, great relationships with pastors. You know what I am saying? And I don’t have to go to a church to sing that seats 20,000 every time. Sometimes God sends me out to a church that has 200 members. It doesn’t matter. What I’ve been called to do and what I’m comfortable with my appointment, and my anointing. I’ll go wherever God says go. So, that is what I tell young people all the time who want to be [gospel artists], you know what I am saying? Then, understand where the industry is, where the music industry is. Listen to the way the music is now, and what God is doing, the sound that He is bringing on the earth to give Him glory, and begin to practice those things and to really perfect it. So, when it is your time, you will be ready. KHB: Wow! Byron my hands are over here (raising hands) like, praise the Lord. Byron Cage: Halleluiah, praise God. KHB: Thank you so much for those words of wisdom and I thank you for the time you have given us. 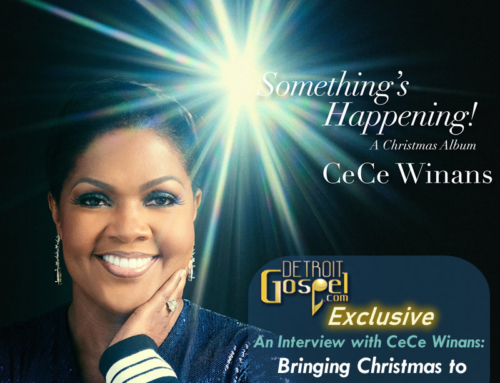 Exclusive Interview with CeCe Winans: Bringing Christmas to Detroit and the World!